Beneath all the Zynga(s znga) games, timelines, likes and pokes, Facebook’s(s fb) business relies on fast, reliable infrastructure. And infrastructure concerns figure heavily in the risks it faces as it goes public, according to Facebook’s newly released S-1 filing. To put it plainly: Facebook’s ability to attract, retain, and serve users is dependent upon its infrastructure working as advertised. 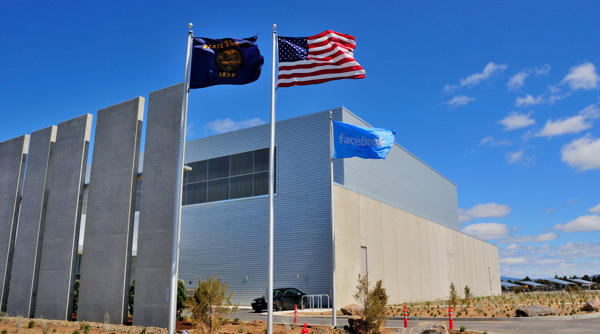 Facebook has become a huge proponent of standardized data center infrastructure — as evidenced in its state-of-the-art, and LEED-certified Prineville, Ore. data center. It helped launch the Open Compute Project, which laid out building blocks for standard data center server designs. Last year the company spent $606 million on servers, networking gear, storage equipment and data center construction. In 2011, we began serving our products from data centers owned by Facebook using servers specifically designed for us. We plan to continue to significantly expand the size of our infrastructure, primarily through data centers that we design and own. The infrastructure expansion we are undertaking is complex, and unanticipated delays in the completion of these projects or availability of components may lead to increased project costs, operational inefficiencies, or interruptions in the delivery or degradation of the quality of our products. In addition, there may be issues related to this infrastructure that are not identified during the testing phases of design and implementation, which may only become evident after we have started to fully utilize the underlying equipment, that could further degrade the user experience or increase our costs. Facebook has taken a very public role proselytizing for its vision of webscale infrastructure. Now it will be testing out its vision as a closely scrutinized public entity. No real surprises here…very common for companies to list this type of information. Do they have like “Spanner” a Google technology for their data centers? No? I would take that S-1 with a grain of salt. Every company lists every possible thing that they think could go wrong, so they don’t get sued if something does. They all say the same thing.